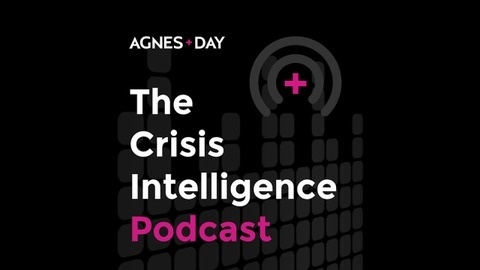 Through her lens of crisis readiness, advising some of today's leading organizations faced with the greatest risks, Melissa Agnes is passionate in her mission to help today's organizations build brand invincibility. The Invincible Brand Podcast is another way in which she works to achieve this mission. 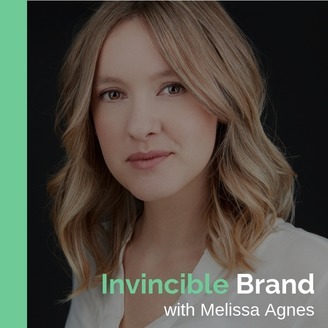 Subscribe to this podcast and join Melissa as she unravels the complexities that this modern-day, hyper-connected world presents to your organization and provides tactical business strategies for implementing a culture where negative events don't strike your business and, if they do, your team is prepared to respond in a way that increases stakeholder trust and goodwill in your organization—making your brand invincible. is the powerful differentiator from your competitors, lends to the emotional connection you build with your stakeholders, and can ultimately make or break your brand’s invincibility. Author and Customer Retention Expert, Joey Coleman, joins the Invincible Brand Podcast to discuss strategic ways to foster a culture whereby increased customer retention leads to brand advocacy, business resiliency, and ultimately, brand invincibility. Studies show that 20% – 70% of your new customers will likely decide to stop doing business with you before they reach the 100-day mark. Meanwhile, if you can retain 5% of your customers who would otherwise stop doing business with you, you can increase your profits by 25% – 100%. In his work as an author, keynote speaker, and consultant, Joey Coleman helps organizations strengthen the relationships they share with their customers and clients, with the goal of building long-lasting, emotionally connected relationships. In this discussion, Joey shares some of the specific steps he takes to achieve this. The strategies and insights he shares apply to all entities, whether in the public or private sector. Interesting ways that working with the CIA has shaped Joey’s leadership and how that mindset can be adapted for your organization. Strategic ways to raise important points with leadership and gain buy-in for cultural improvement and evolution. How focusing on the customer experience makes team members’ jobs easier and speaks directly to the bottom line in substantial ways. Real world examples, stories, and tactical strategies that can be applied to your organization.